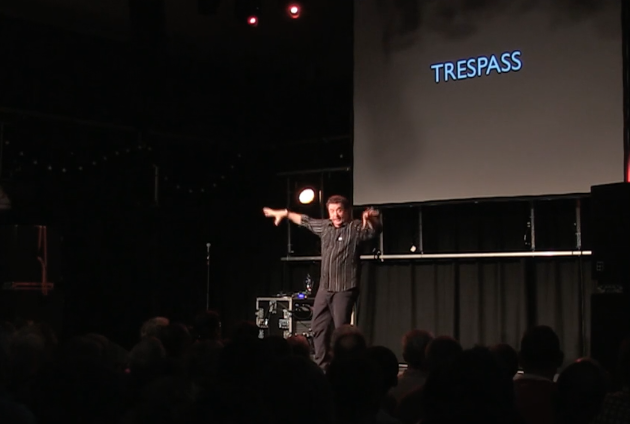 Mark Thomas explores the importance of public spaces, how we work and relate to each other in his Edinburgh Fringe play, ‘Trespass Work in Progress’. Trespass carries on from where Mark’s previous show 100 Acts of Minor Dissent left off. Mark asks the question: If the ramblers of the 1930s were here now what would they do to open up the cities? How do we turn the skyscrapers and corporate squares into our playgrounds? Mark sets out to try and carve a small space in the urban world where mischief and random chance can lurk. No one knows where this show is going to end up so join Mark at the start of the project.